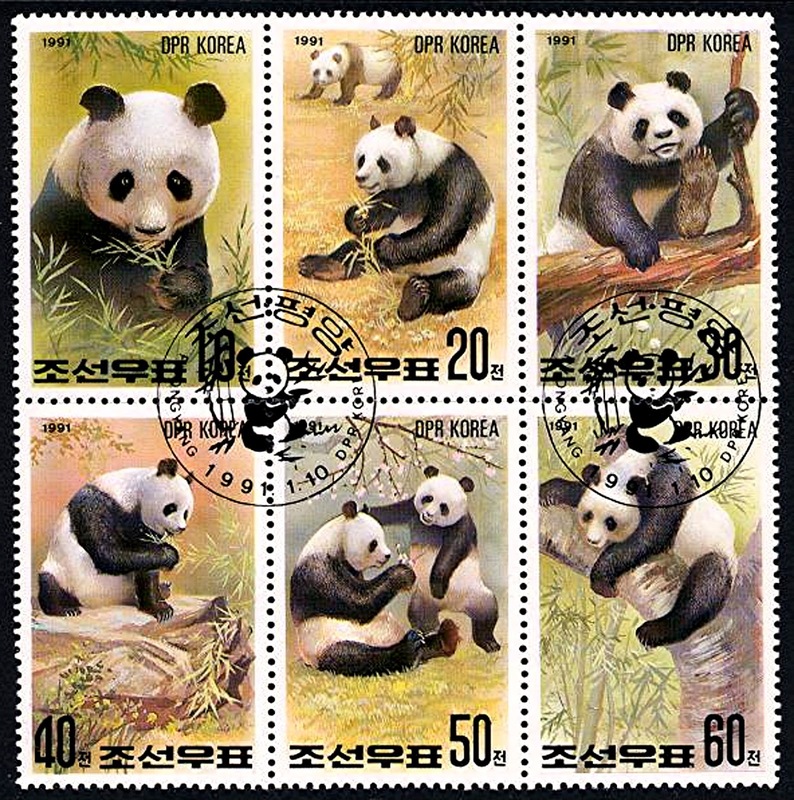 It is widely known that many remarkable species of animal have become extinct or at least highly endangered in modern times. However, it is far less well known that during this same time period, a startling number of equally spectacular species have been newly discovered (having been previously unknown to science) or rediscovered (after having been written off as extinct by science). 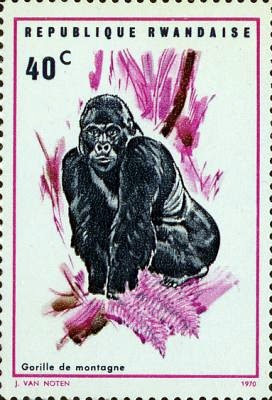 Here, then, in no particular order, is my personal Top Ten of our planet’s most extraordinary and scientifically significant zoological arrivals and revivals of modern times – with my interest in cryptozoological philately providing the illustrations. Discovered in 1901, the okapi remains one of the most famous and dramatic new animals to have been unveiled for over a century. Back in 1890, explorer Henry Morton Stanley noted that the Wambutti pygmies inhabiting the Ituri Forest in what is nowadays the Democratic Republic of Congo had informed him that they sometimes trapped in concealed pits a kind of ‘forest donkey’ known to them as the atti. 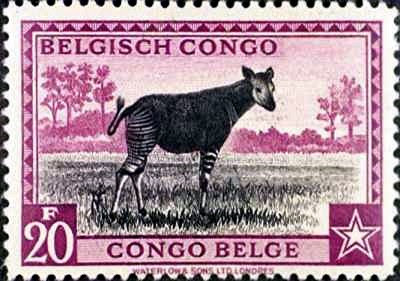 When Ugandan governor Sir Harry Johnston learnt of this, he made enquiries, as a result of which some soldiers from the Congo gave him two strips of vividly striped skin from one such animal. Convinced that this elusive beast, which he learnt was actually known locally as the okapi, was an unknown forest zebra, he sent the skin strips to London’s Zoological Society, where they could not be identified with any known species. In 1901, Sir Harry succeeded in obtaining a complete okapi skin as well as two skulls, and he sent these to London’s Natural History Museum, to await the experts’ verdict on the okapi’s zoological identity. To everyone’s amazement, it proved not to be a zebra at all, but something far more extraordinary. It was a giraffe, but no ordinary one. 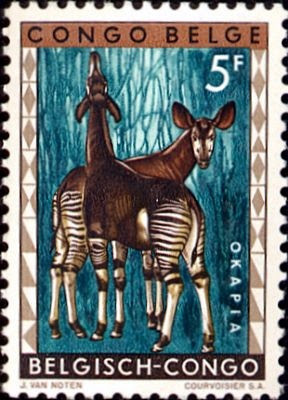 A totally separate species from the familiar long-necked spotted giraffe of the savannahs, the okapi was a relatively short-necked, stripe-rumped species with purple-brown skin, which was adapted for an exclusively forest-dwelling lifestyle. Although similar species were known from the fossil record, it had been assumed that all of these short-necked giraffes had died out millions of years ago, but the okapi’s sensational discovery emphatically disproved this. 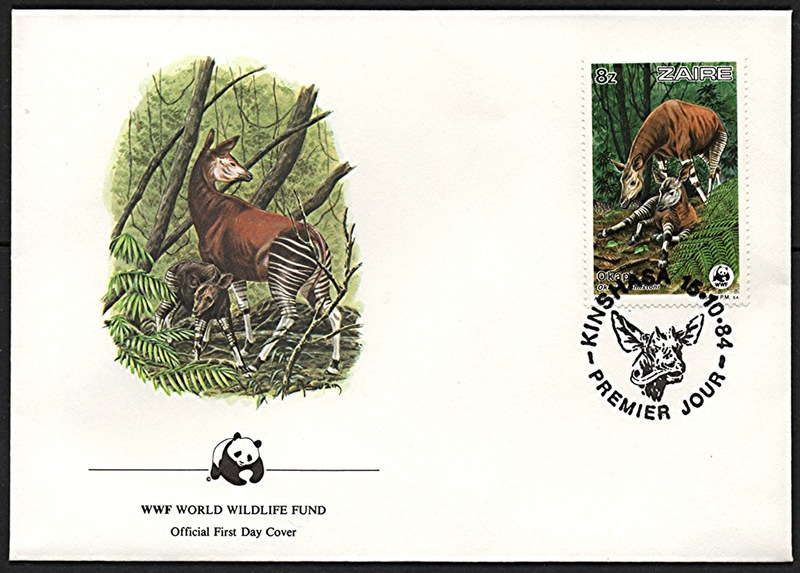 In honour of Sir Harry’s successful investigations, the okapi was formally named Okapia johnstoni. The okapi wasn’t the only modern-day zoological surprise revealed in the Ituri Forest. During a scientific expedition there in 1913, American Museum of Natural History ornithologist Dr James Chapin spied a native head-dress containing an unusual feather that he had never seen before. He was so intrigued that he purchased the head-dress, but after a long, vain attempt to identify the feather’s mysterious species he finally placed this perplexing plume in his desk, but he never forgot it. In 1936, during a visit to the Congo Museum at Tervueren, Belgium, Chapin spotted a pair of shabby, forgotten taxiderm birds on top of a dusty cabinet separated from the museum’s principal collection – and was amazed but delighted to see that the female bird had wing quills identical to his mystifying feather. 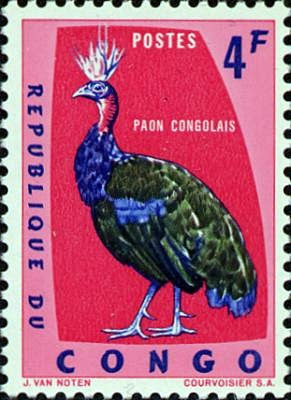 Investigating this fortuitous discovery, Chapin learnt that these birds’ species inhabited the Ituri Forest, where it was known as the mbulu. 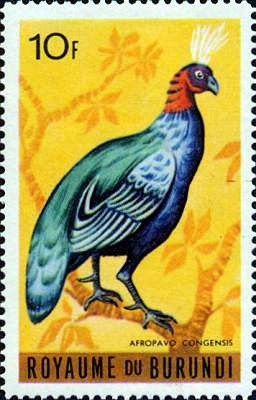 By mid-1937, he had acquired several fresh specimens of the mbulu for detailed examination, which revealed it to be a species of peacock hitherto unknown to science, and the only one native to Africa. Very primitive in appearance, it lacked the exquisite fan-like train typifying the familiar Asian peacocks. 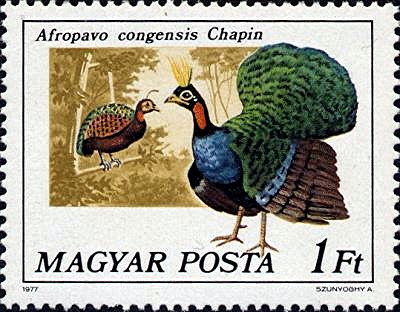 Chapin dubbed this remarkable new bird Afropavo congensis, the Congo peacock, and it is still deemed to be the most significant ornithological discovery of the past 100 years. 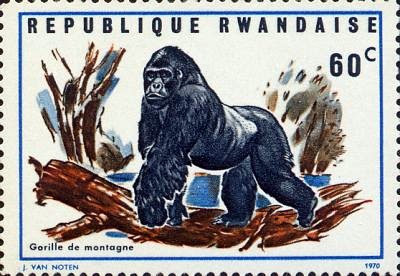 As far back as 1860, the explorer John Speke had collected native reports of a huge, man-eating hairy ogre that inhabited the Virunga Volcano range of mountains constituting the physical border between the Democratic Republic of Congo, Rwanda, and Uganda, but science dismissed such stories as mere superstition and folktales. 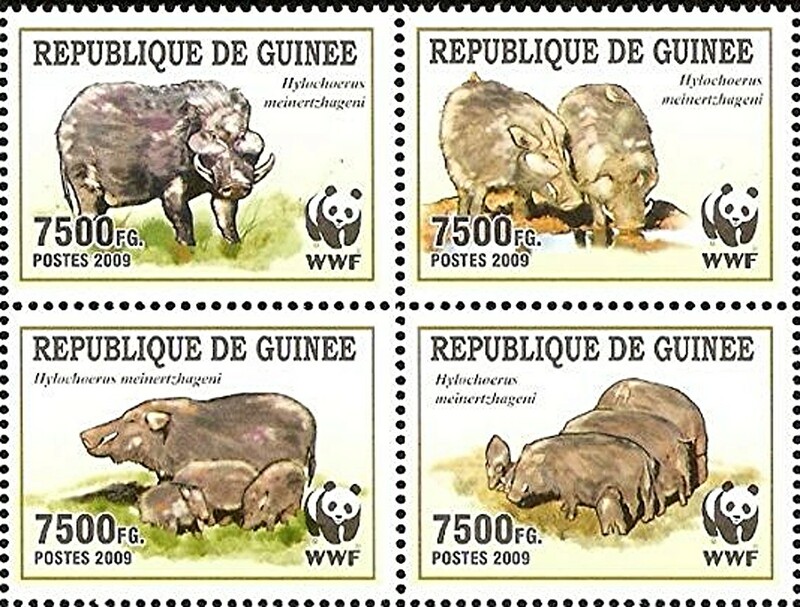 In 1902, however, a Belgian army officer called Captain Robert ‘Oscar’ von Beringe actually shot two of these hairy ‘ogres’, and sent them to Europe, where they were found to constitute a totally new form of gorilla – quite different from lowland versions, with a broader chest, longer, darker fur, and longer jaws with larger teeth. 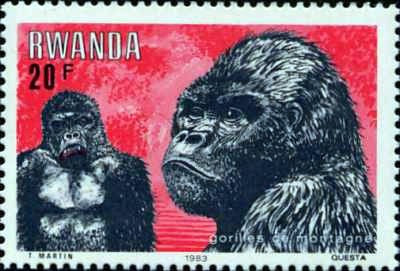 The mountain gorilla had finally been discovered, and is referred to scientifically as Gorilla beringei beringei. Happily, we now know that far from being a man-eating ogre, it is actually one of the shyest and most gentle of creatures – as revealed via the studies of Dr George Schaller, and those of the late Dian Fossey (whose life was the subject of the film Gorillas in the Mist). 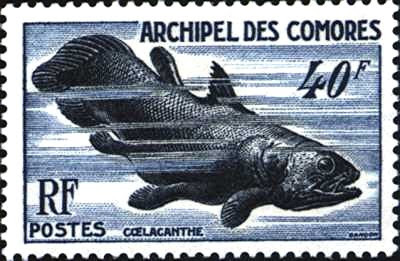 Marjorie Courtenay-Latimer, curator of the small East London Museum in South Africa, often visited the nearby docks in search of unusual fishes to preserve as specimens for exhibition in the museum, but during a visit in December 1938 she spotted a fish unlike anything that she had ever seen before. Approximately 1.5 m long and steely-blue in colour, what made it so distinctive were its fins, as both the pectoral and the pelvic fins looked just like stubby legs, and, uniquely among all living fishes, its tail fin possessed three lobes instead of just two. Totally baffled by her strange unidentified find, Courtenay-Latimer arranged for it to be transported to the museum and preserved. 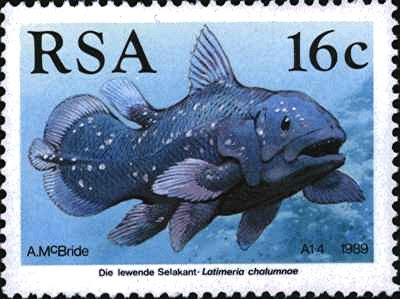 She also wrote a letter (containing a sketch of the fish) to a colleague who had assisted her in identifying fishes in the past – world-acclaimed South African ichthyologist Prof. J.L.B. Smith. When he opened it, he was astonished to see that her sketch closely resembled a coelacanth, belonging to an ancient lineage of fishes hitherto believed to have died out over 64 million years ago alongside the dinosaurs! He lost no time in visiting the East London Museum to see this amazing fish himself, and was able to confirm straight away that it was indeed a genuine, modern-day species of coelacanth. When Prof. Smith formally documented this sensational zoological find, he named its species Latimeria chalumnae, in honour of its discoverer. 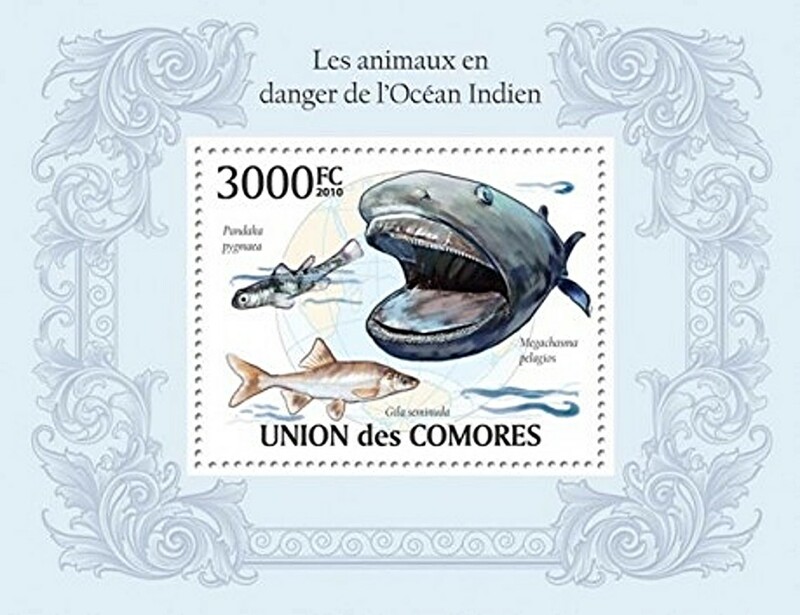 After a gap of almost 14 years, more coelacanth specimens belonging to this same ‘living fossil’ species were found, in the waters around the Comoro Islands. 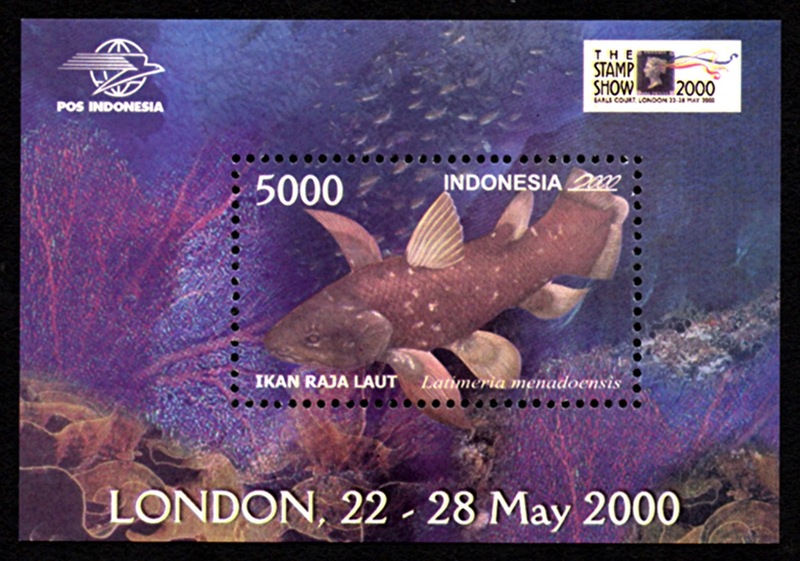 And in 1997, a separate, second species of modern-day coelacanth was discovered in the seas around the Indonesian island of Sulawesi. It was christened Latimeria menadoensis, and possessed brown scales instead of blue ones. 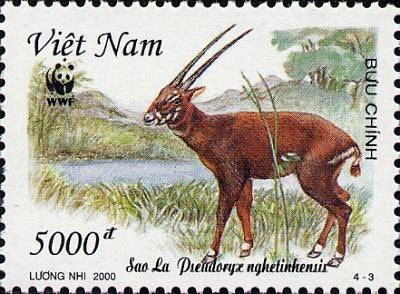 The most spectacular new species of large mammal to have been discovered in recent times is undoubtedly the saola or Vu Quang ox. 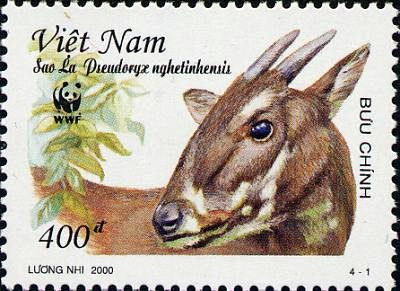 While conducting field research in an unexplored forest-covered mountainous region of northern Vietnam called Vu Quang during 1992, American conservationist Dr John MacKinnon observed that various native hunters exhibited as trophies in their homes some very long, pointed horns that were unlike those of any species native to anywhere in Asia. Indeed, the only horns that they resembled were those of certain African and Arabian antelopes known as oryxes. When he asked the hunters what animal these mystifying horns came from, he was told that it was a very shy, rarely-seen ox-like creature referred to by them as the saola. Further enquiries resulted in the procurement of a near-complete dead specimen, revealing the saola to be a dramatically new species that combined a bovine body with the long horns and slender legs of an antelope. 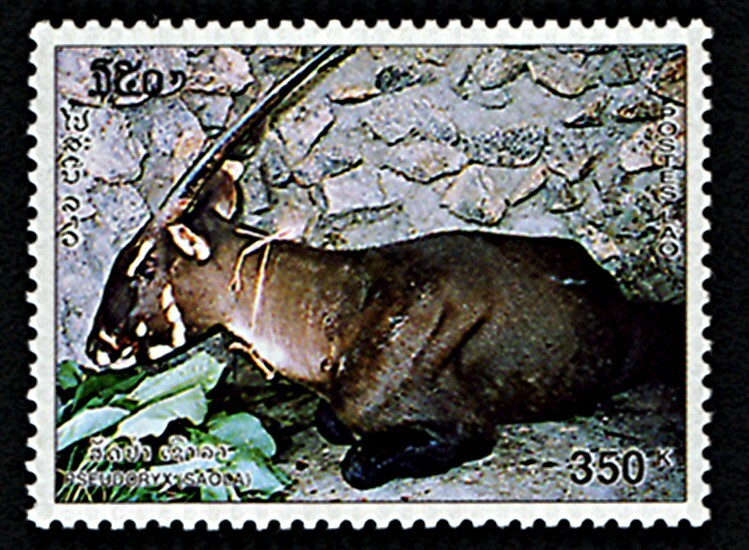 It was formally named Pseudoryx nghetinhensis, emphasising its horns’ deceptive similarity to an oryx’s, but in reality the saola has no close relatives among other species. 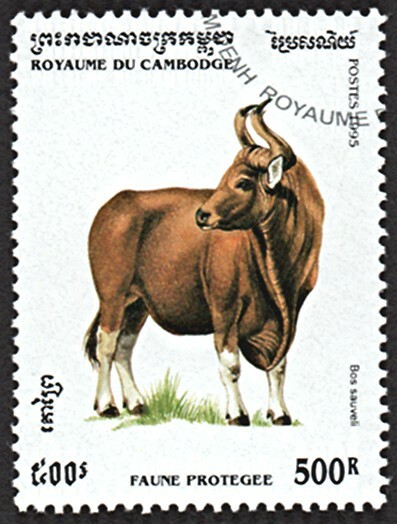 The size of a buffalo – the saola is the largest new mammal to have been discovered since the kouprey or Cambodian wild ox Bos sauveli in 1937. This makes the saola’s very belated scientific discovery even more remarkable. A few living specimens have subsequently been observed in the wild, and a few even captured and studied alive for short periods, but it remains little-known and very scarce. Komodo is a small island in Indonesia’s Lesser Sundas chain, southeast of Java, and was once used as a convict island for prisoners. Pearl fishermen visiting Komodo were told by the prisoners that this island harboured a huge, ferocious species of land crocodile. Scientists, however, dismissed such claims as fantasy, until, in 1910, Major P.A. 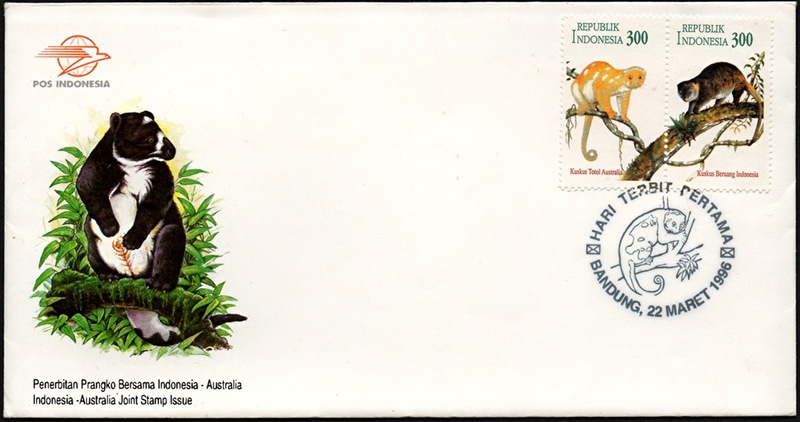 Ouwens, director of Java’s Botanical Gardens at Buitenzorg, near Batavia (now Jakarta), became sufficiently intrigued by them to send a local amateur naturalist to Komodo in search of the truth. When he returned, he confirmed that such creatures really did exist, but they were not crocodiles. Instead, they constituted a giant species of monitor lizard, and as proof he had brought back the skin of one. 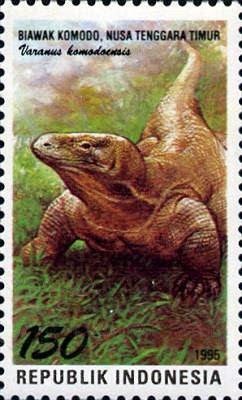 In 1912, this spectacular new species was formally described by Ouwens, who named it Varanus komodoensis, the Komodo dragon. It can grow up to 3 m long and weigh up to 70 kg, making it the world’s largest lizard. 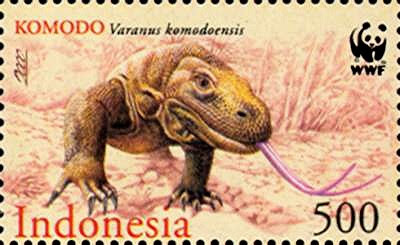 Komodo dragons will kill and devour anything that they can catch – including other Komodo dragons, and humans! 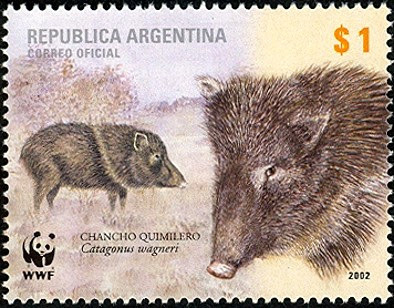 Until the mid-1970s, only two species of pig-like peccary were known to science, but during a visit in 1974 to the semi-arid Gran Chaco region of South America, overlapping Paraguay, Argentina, and Bolivia, American zoologist Dr Ralph Wetzel obtained skulls and other physical evidence testifying to the existence of a third, somewhat bigger species. What made this discovery even more significant, however, is that when these remains were studied, zoologists realised that their species was already known to science – but only as a fossil form hitherto assumed to have died out at the end of the Ice Ages 10,000 years ago. In reality, however, Wetzel’s discovery showed that it had not died out at all, but its modern-day survival had not previously been realised by scientists, even though it was a familiar creature to the Chaco inhabitants. This resurrected species is nowadays known as the Chacoan peccary Catagonus wagneri. In 2003, an even bigger peccary – the world’s largest species – was discovered in Brazil; and in 2007, it was formally recognised and named Pecari maximus, the giant peccary. And back in 1904, the world’s largest wild species of true pig, the aptly-named giant forest hog Hylochoerus meinertzhageni, was unveiled in Kenya. On 15 November 1976, the crew of an American research vessel situated in the waters off the Hawaiian island of Oahu hauled up one of its anchors at the end of the day – and were astonished to discover that it had been partly swallowed by a huge and wholly-unfamiliar shark, which was hauled up with it as the anchor was wedged inside its exceptionally large mouth. The shark had choked to death, so its bulky 4.25-m-long body was taken to Hawaii’s Kaneohe Laboratory for preservation. Following a very extensive study, in 1981 it was proclaimed as an entirely new species of shark, radically dissimilar from any previously recorded. Formally named the megamouth shark Megachasma pelagios, it was so dramatically different, in fact, that it required the creation of a wholly new zoological family in order to accommodate it within the shark classification system. Since then, a sizeable number of additional specimens have been recorded in seas all around the world, making the late scientific discovery of such a large and distinctive species of fish all the more extraordinary, and confirming that the vast oceans undoubtedly hold many more zoological surprises in store. 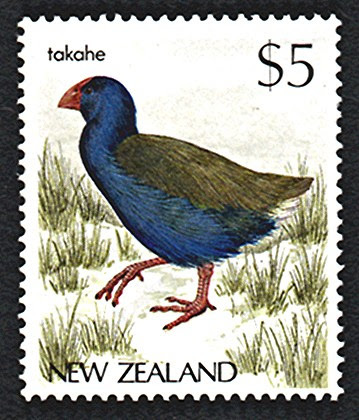 New Zealand is home to many species of unusual bird found nowhere else in the world, but one of the most beautiful, and elusive, is a multicoloured, flightless relative of coots and moorhens known as the takahe Porphyrio mantelli. Almost as big as a turkey and surviving only on the South Island, it was originally discovered in 1849, but was only rarely seen, and many years would often pass between successive sightings. 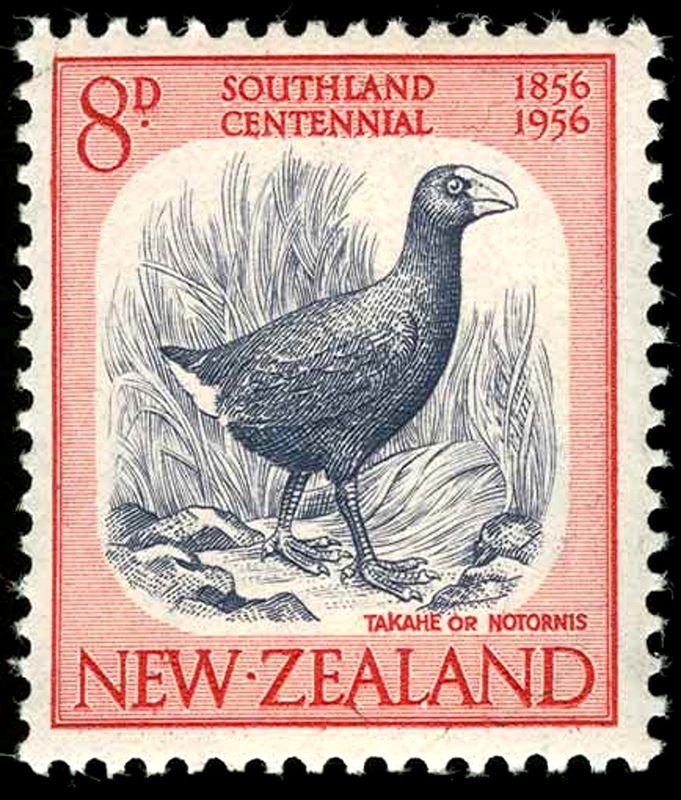 After a sighting in 1898, however, no further confirmed reports of the takahe emerged for several decades, and zoologists eventually deemed that this time it must surely be extinct. In November 1948, however, after learning from local Maoris of a mysterious lake not known to Europeans but around whose shores they claimed takahes could still be found, New Zealand physician Dr Geoffrey Orbell organised an expedition to this lake. On 20 November, while the team was searching there, and without any prior warning, just ahead of them a takahe unexpectedly stepped into view – and into history – as the first living specimen recorded for 50 years! Its species’ rediscovery is one of the most significant in modern times, and the takahe is now fully protected. In 1994, while visiting the hitherto scarcely-explored Sudirman mountains of Irian Jaya, the western, Indonesian half of New Guinea, Australian zoologist Dr Tim Flannery encountered a completely unfamiliar yet extremely distinctive species of tree kangaroo, whose eyecatching black and white fur made it look more like a panda! Moreover, in spite of its zoological status, this particular tree kangaroo preferred to spend much of its time on the ground, and was relatively tame, whistling loudly at anyone approaching it. It transpired that the native Moni tribe sharing its forest habitat revere this species as their own ancestor, and thus refrain from hunting it, explaining why it was unafraid of humans. Known to them as the dingiso, it was totally new to science, and when officially documented and described, it was christened Dendrolagus mbaiso. This delightful panda-lookalike is the most dramatic new species of mammal to have been discovered in Australasia for many years. 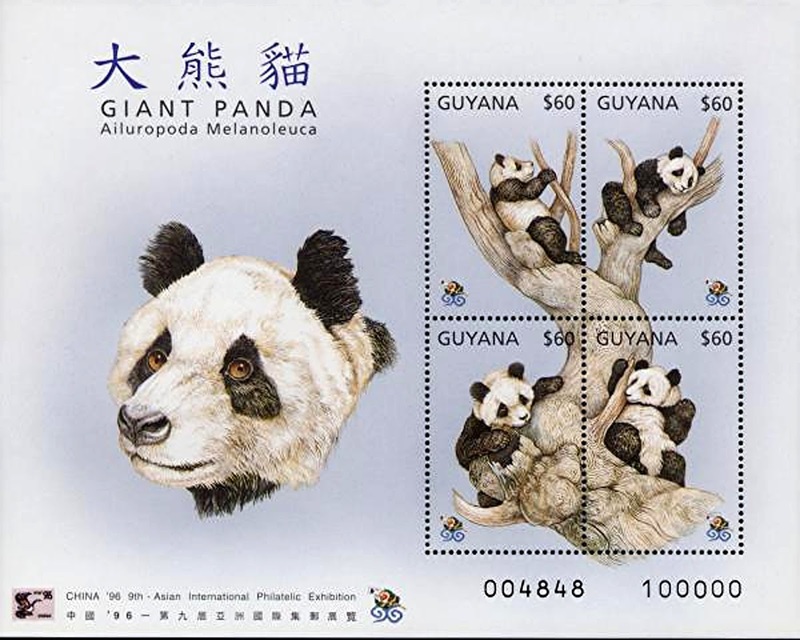 And speaking of pandas: the giant panda Ailuropoda melanoleuca was itself only rediscovered in 1928 after having been written off as extinct for several decades after its original discovery by western science in 1868. Just over a century ago, zoologists were confidently predicting that all of the world’s major animal forms had been found and catalogued. How wrong they were. 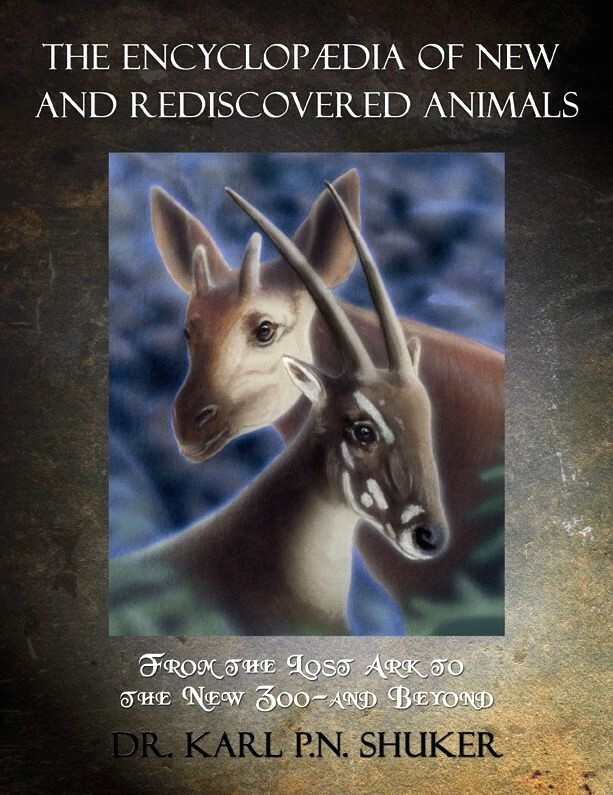 Even today, very notable new species of animal are still being discovered, and species long believed extinct are still being rediscovered, as documented in my recent book The Encyclopaedia of New and Rediscovered Animals (Coachwhip Books: Landisville, 2012). This is why the conservation of existing wildlife habitats worldwide remains so imperative, in order to preserve biodiversity and avoid the horrifying prospect of remarkable animal species becoming extinct without their existence ever having been discovered. What a terrible tragedy that would be. 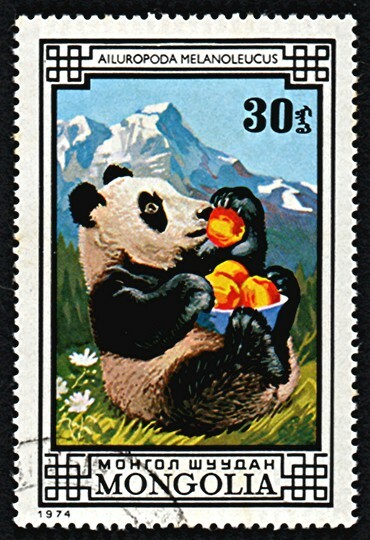 My sincere thanks to Pib Burns for kindly permitting me to include in my article a selection of postage stamp illustrations from his excellent cryptozoological philately site – please click here to visit it and see more postage stamps depicting new, rediscovered, and still-undiscovered animals. And for lots more information on every major new and rediscovered animal from 1900 to the present day, check out my recent book, The Encyclopaedia of New and Rediscovered Animals – the definitive book on all such creatures.